Here are a few trees I've currently been working on. None are even close to being finished but I wanted to record how they were progressing. Any advice or criticism is welcome, tell me what you think! 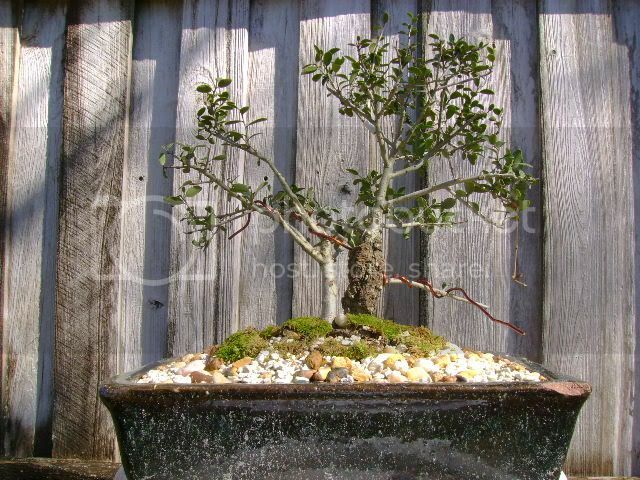 Also I should mention I practice more along the lines of a Walter Pall mentality, whatever looks impressive and natural is good bonsai. I'm thinking of planting this one sideways to develop a cascade rather than an abstract style. Any ideas? 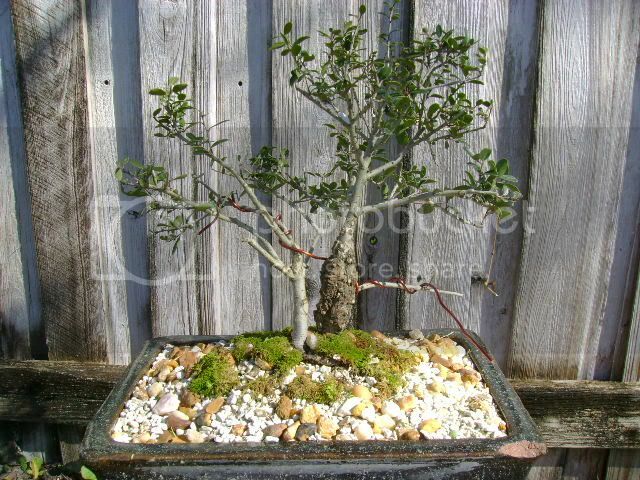 I really like the ilex, the twin trunk Loropetalum, and the last juniper. 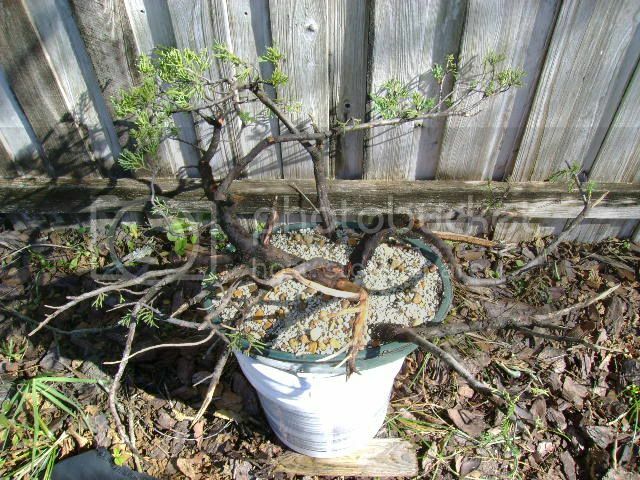 As for the first juniper I bet you could go in many directions with it and still have a good looking tree. 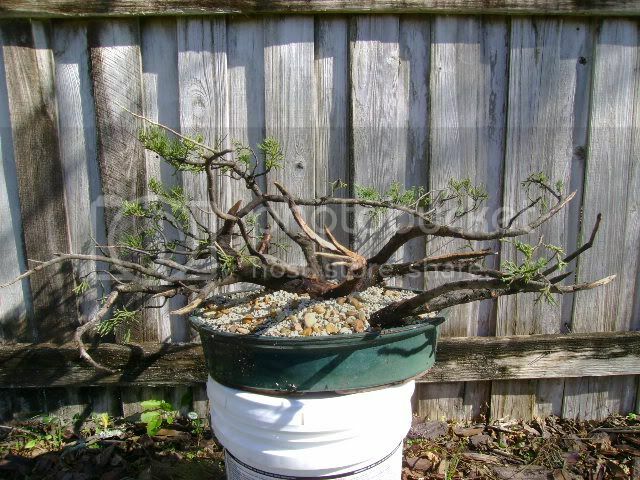 My only piece of advice is for the last juniper. 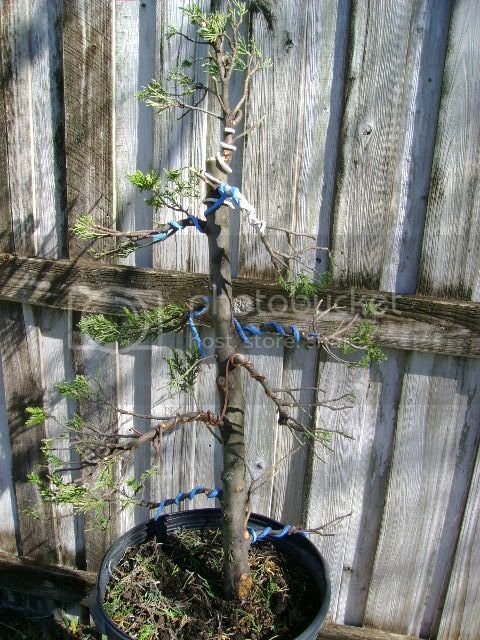 I think the first two branches are too low. 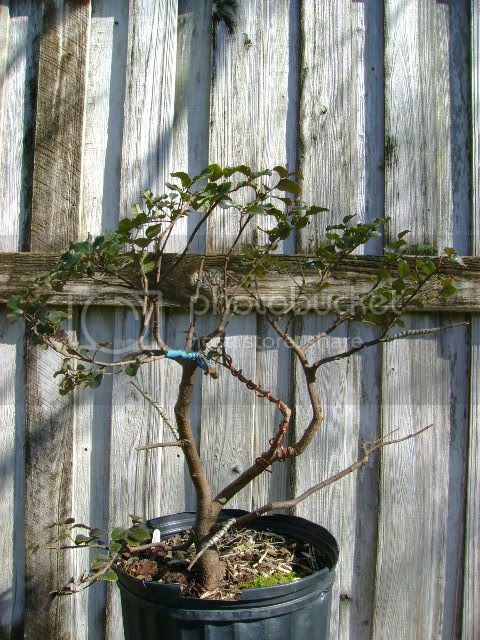 I think the third branch (the first with the copper wire) would make the best first branch. I also think the next one up is kind of an eye poker, and the one above it would make the best second branch. Either way you have some great material to use, and a pretty good variety too. Good Luck!